During 4-9 June 2017, the 2017 International Microwave Symposium(IMS) will be held in Honolulu, Hawaii. 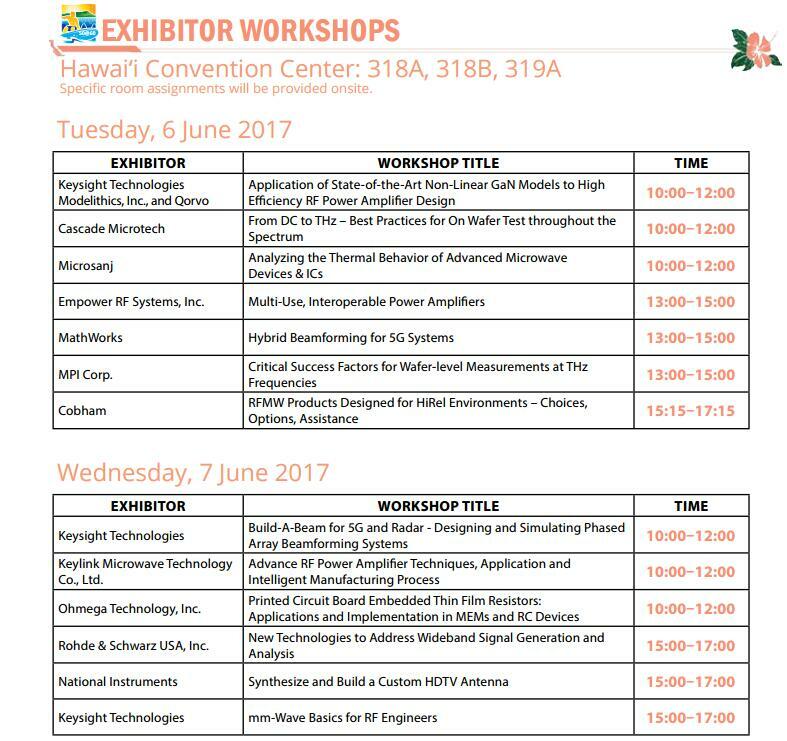 KeyLink Microwave will exhibit our new products, and one of our engineers will have a presentation during the time of Exhibitor Workshop on Wednesday 7 June 2017. Welcome to join us! We are looking forward to seeing you on booth 1049. If you would like to arrange a meeting with us there, please call our colleagues, we prepared exquisite gifts for you!